We understand that in most circumstances scrap metal is a byproduct and not the focus of your business. 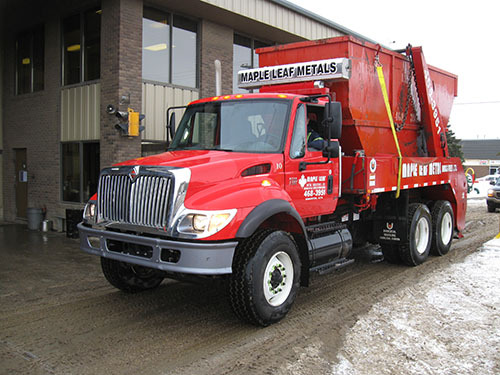 Let Maple Leaf Metals handle the arrangements for the collection and removal of scrap metal from your site. We can provide a bin at your location to be loaded with your scrap metal, picked up, delivered to our facility and returned to be filled again. 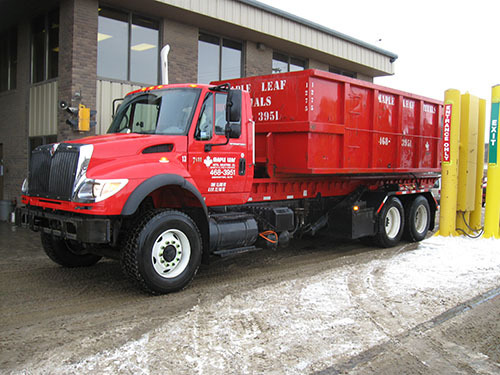 Please fill out the dispatch form, which has a link at the bottom of this section, or call us at (780) 468-3951 to arrange for the pickup of your scrap metal bin. Unsure about what size of bin you need? Call us (780) 468-3951 and we will help you find the right bin for your business. Occasionally, you may come across scrap metal that is too large for our bins. 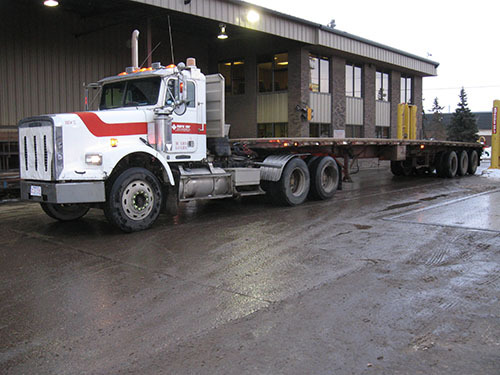 Depending on size, environmental concerns, and distance we have a wide variety of freight options available. Give us a call today (780-468-3951) and let our team assist you in any way we can. Recycling the past to build Alberta’s future.